When the pectineus muscle is weak, what kinds of performance and health issues can you get? Let’s look at the frequency of Pectineus Muscle (PM) weakness, its anatomy, actions, measurement methods along with the implications weak PM strength can have on your athletic performance and health. The Diagnosis Foundation has been including this muscle test in our current screening program on Muscle Imbalances, and it is one of the most frequent weakness we have been finding. It is weak in close to 80% of the athletes we have been testing. (You can imagine how frequently it will be involved when we include non-athletes in our screening program). Keep in mind, this is not a statistically valid way of determining frequency, so real population numbers could be dramatically different. The PM is located on the medial side (inner side) of the upper thigh and is moderately deep lying underneath the psoas major muscle and superficial to the adductor brevis. The superior (top) end of the muscle attaches to the superior ramus (upper arm) of the pubic bone of the pelvis. The muscle runs through the groin area and connects to its’ very short tendon just before it attaches to the femur (thigh bone) just below the lesser trochanter. The pectineus is shortest of the 5 adductor muscles which pull the thigh inward They are (from the shortest to longest): pectineus; adductor brevis; adductor longus; adductor magnus &; gracilis. The PM is one of the muscles in the groin region, the triangle formed in each upper thigh by the crease between the torso and the thigh superiorly, the symphysis pubis in the midline and femur forming the lateral boundary. Other muscles in the groin region include the other 4 adductors as well as the distal portion of the iliacus and psoas major muscles. This being mentioned as any of these muscles can be involved with a ‘pulled groin’. The main action of this muscle is to pull the thigh inward. It is most effective compared to the other adductors in performing a full ‘crossover’. For example, if you do a side step and cross one leg either in front of or behind the other limb, the PM is the prime mover crossing the leg over the other. The PM is least effective compared to the other adductor muscles when the limb is fully abducted (pulled away from the midline). This ineffective motion would be exemplified when you initiate pulling your legs together starting from the fully straddle split position. The PM also give some significant contribution to externally rotating the thigh and a very slight contribution to flexing the thigh. Weakness in the PM can be determined with manual muscle strength testing, careful observation of hip alignment during walking, running and at rest as well as other tests. Supporting information can be gained through a detailed history and physical examination for neurological, vascular and orthopedic signs. Measurement of PM ranges of motion and muscle strength are available with specialized equipment such as tensiometers or isokinetic testing devices when required for more detailed examinations, insurance purposes or research. When the PM muscle is weak, you will not have the performance capabilities you should have in the following situations. 1) Leg crossovers; 2) External rotation of the thigh &: 3) Hip stabilization. 1) Leg Crossovers – The PM is involved in adduction of the thigh along with 4 other muscles. The 5 adductors have varying degrees of adduction efficiency across the entire possible range of motion. 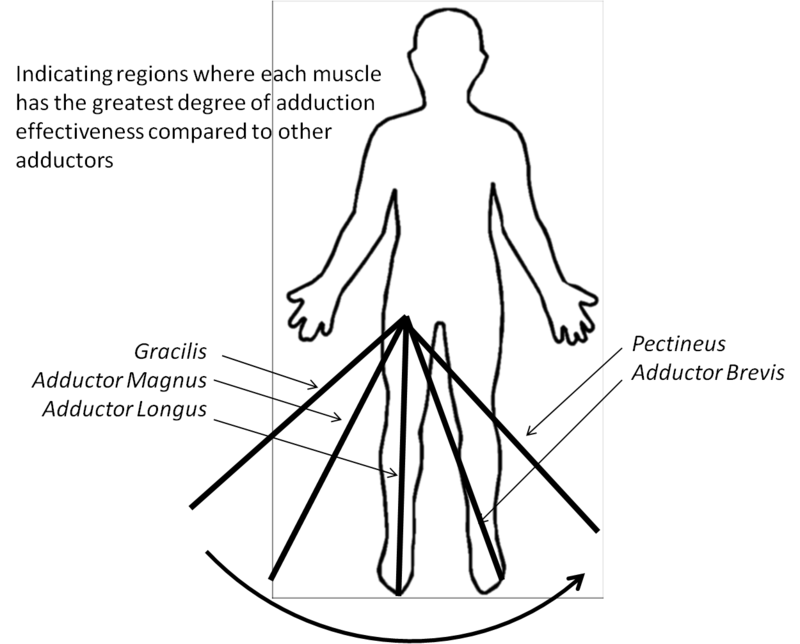 This is the result of the muscle length and is’ points of attachment. Each muscle contributes a percentage of its’ force into adduction and another percentage into vertical movement. In general, as we move the thigh from the fully abducted starting position towards a full crossover, the longest adductors have the best adduction to superior displacement ratios. (i.e. they are most efficient for adduction) As your limb move towards full crossover, the shorter adductors have the better adduction:superior displacement ratios. This can be summarized by the graph above which shows where each adductor muscle is the most efficient across the full range of adduction motion. 2) External rotation of the thigh – The origin and insertion of the PM has the greatest anterior to posterior angulation of the adductors. I.e. it has the most fibers capable of rotating the thigh externally of all the adductors. This motion is also assisted by 2 muscles on the opposite side of the thigh (the gluteus maximus (glut max) and some of the fibers of the gluteus medius (glut med)). External thigh rotating maneuvers are used with pivots and changes in direction. 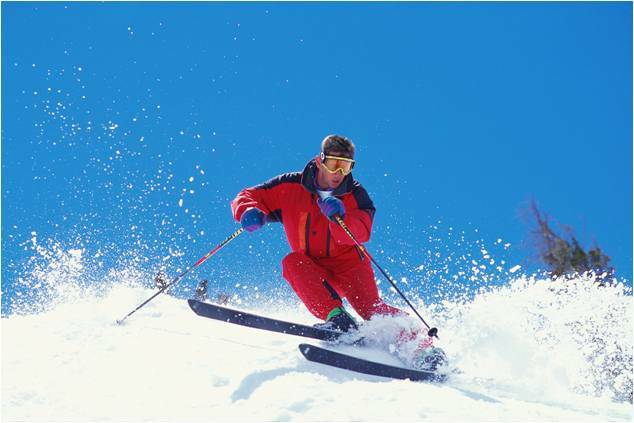 Sharp turn with great changes in direction require more force capability to change the momentum of the body mass compared to minor corrections. Agility and the ability to outmaneuver opponents will be the end results of strong external rotation in competitive sports. Versatility in artistic expression will be enhanced in dance, gymnastics and other solo athletic events. 3) Hip stability – The PM will stabilize the hip joint in the adduction / abduction plane, particularly when in the crossover position. It will accelerate adduction in this position as well as serving as the antagonist or ‘braking’ function for abduction. The PM will also participate in hip stabilization in the transverse plane during rotation of the thigh. It will accelerate external rotation as well as being the antagonist that applies the ‘brakes’ for internal rotation. When in the early stages of instability, PM weakness will manifest in a decrease in athletic performance. As the imbalance continues, there will be an increased susceptibility for falls. Should the weakness or imbalance become severe enough or last long enough, there will be an increased chance of injuries or health issues. People with chronic or more pronounced weakness of the PM, imbalanced strength at the hip joint, will be more susceptible to 1) groin strains; 2) hip degeneration. 1) Groin strains – When the PM is weak compared to the other muscles crossing the hip joint, there will be opportunities for the stronger muscles to overpower the PM, causing damage. The PM can also be damaged from doing repeated activities at the limits of what the strong muscles can tolerate yet do not typically involve the PM. A variation in this procedure (i.e. a slight slip part way through a maneuver) can redistribute force onto the relatively incapable PM. Not only will the weak PM be unable to recover from the slip appropriately, it will also be more vulnerable to muscular damage. 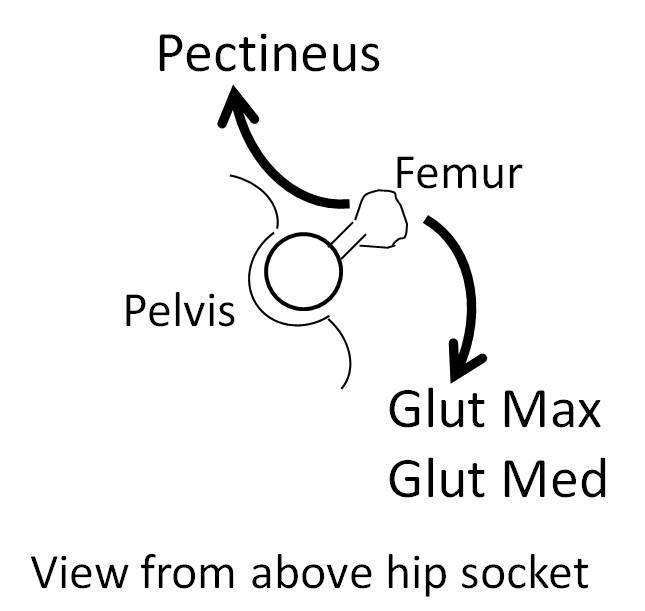 2) Hip degeneration – When the externally rotating muscles on the inside (PM) & outside (glut. max. & med.) work in concert, not only do you have more strength with this maneuver, you also are able to keep pressure within the hip socket more centered. 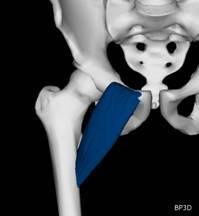 This reduces the wear and tear on the cartilage of both the ball and socket of the hip joint. Should an imbalance of the muscles crossing the hip joint persist for a long enough period of time, the additional pressures on the ball and socket will first erode the articular cartilage at an accelerated rate., Eventually, the increased pressures will break through the cartilage, resulting in direct bone on bone contact. 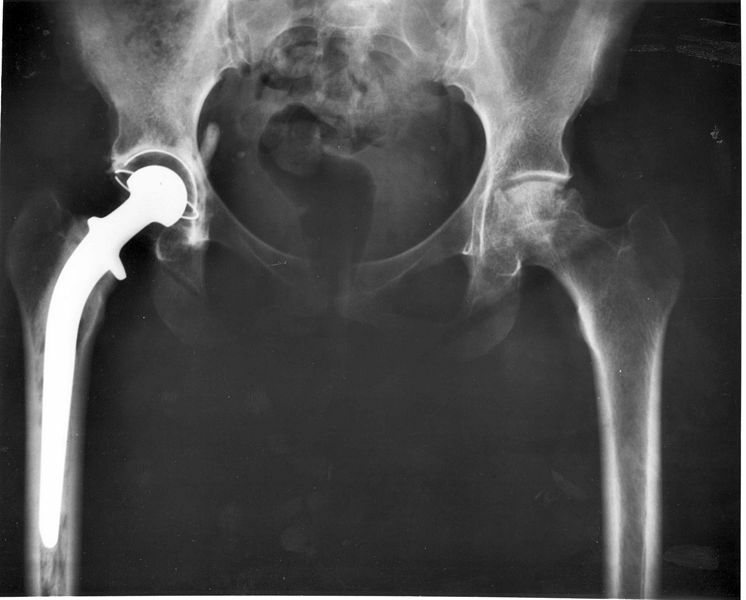 Should this hip be exposed to direct bone on bone contact for a sufficient period of time, bone spurs and erosion will develop and eventually, joint failure leading to a need for hip replacement. Learn how to manually test for muscle strength imbalances with education & certification courses offered by the Diagnosis Foundation. This will help you identify muscle weaknesses and allow you to individualize exercise programs for your clients and friends. This will enable you to get faster results and set you apart from others in your field. Next Next post: How many adductor muscles are there?